What is “the best” high-risk payment gateway? Well, it could be NMI, Authorize.Net, or ePN. It depends on a number of factors. This post isn’t clickbait, and it’s not a sales funnel; which high-risk payment gateway is the best for you depends on your high-risk business type and the details of your marketing offer. But don’t worry, this article will help you figure out what is best for your high-risk website. 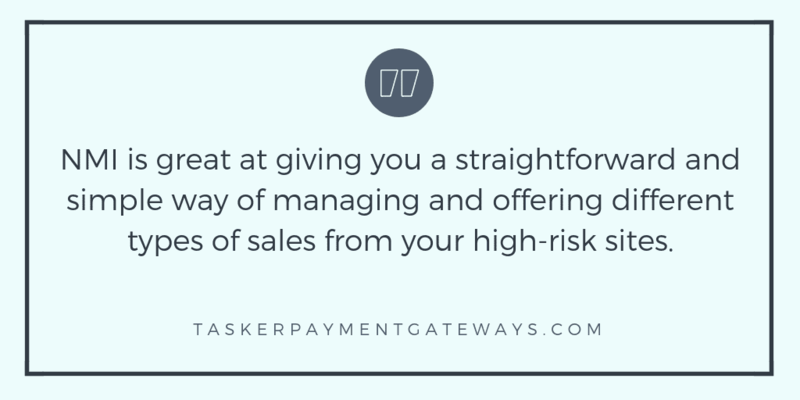 Whenever a website owner asks us what high-risk payment gateway is the best, unfortunately, our answer sometimes sounds a little bit like a sales pitch. Every time we answer with some variation of “it depends, let’s talk about your business,” it reminds us of the frustration felt when someone tries to get basic information from a contractor by phone. The follow-up question we often get is “can’t you please just give me a simple answer before I carve out time on a Tuesday to talk to you?” and we’d love to. Unfortunately, with our experience in high-risk payments, we know that more likely than not there’s no black and white answer to which high-risk payment gateway is best for you. Not without more details about how your business operates and what you want to sell. But, why isn’t there a simple answer? It is a good question, and luckily there is a right answer. Below are a few examples of why the answer is so nuanced and why we always recommend folks call us or contact us to discuss their exact situation. If you’re selling premium cigars online using the osCommerce platform and you run various product types, like one-off sales and cigar-of-the-month subscriptions, then NMI is the payment gateway for you. By using NMI, you’ll be well set-up for processing and accepting payments for different types of sales. After all, there are very different types of risks involved selling one box of cigars than with a recurring billing setup for a cigar-of-the-month. With NMI you’ll effectively manage these risks with multiple-merchant accounts. NMI is great at giving you a straightforward and simple way of managing and offering different types of sales from your high-risk sites. If you want, you can check our overview of NMI features. There you’ll find videos and short descriptions of the many features and settings available. The NMI payment gateway allows you to log in, pull reports, and manage all your merchant accounts through one master login. You could use the NMI account balancer to direct your high-risk products to your higher cost merchant accounts and your low-risk products to your low-cost accounts (with your processor’s blessing of course). You could even create custom routing based on volume, average ticket, SKU, etc. See? NMI is the best. This combined with the osCommerce platform’s ease of use is a sure winner for your online high-risk cigar store. But is NMI the way to go for all high-risk sites? Let’s say you’re a medium sized e-commerce business selling electronic cigarettes and e-juice online using Shopify. Or your business is mostly online. You do make some wholesale deliveries and accept some payments in person. Lastly, you want to start using Shopify as your site building software. Well, in this case, the answer is obvious. Authorize.Net is the best payment gateway for you (in our humble opinion). It will integrate so seamlessly with Shopify that you’ll think of them like milk and cookies (well, you know what I’m trying to say). With Authorize.Net set up with your Shopify platform, payments will automatically process, we’ll be able to make a solid vape friendly merchant account recommendation, and you’ll be off to the races. See? What did we tell you? Authorize.Net is it. Many think of Authorize.Net as an all-in-one payment solution. However, it’s just software. With the right high-risk processing in the back-end, you can integrate Authorize.Net with a whole host of site-builders, shopping carts, and platforms. Authorize.Net is among the gateways we recommend the most to a host of different e-commerce site owners. Don’t forget, the vast majority of those who sign up receive a $0.00 set up fee. Through our vetted solutions, a free setup is standard practice. But wait, there’s more. Let’s say you’re an FFL dealer with a thriving retail shop, but you want to expand your reach. You do everything by the book, and you’re ready to start selling firearms on your WooCommerce site, as well as through the two most popular auction sites. Well, no gateway appears to be more entrenched in the FFL community (judging by our unscientific, not vetted surveys) than eProcessing Network. ePN will plug right into the big boys of FFL auction sites in 5 minutes, and you’ll be off to the races. Tactical merchants sell self-defense items, knives, or weapons online – even non-lethal items like pepper spray or stun guns. Let’s say you’re a tactical merchant in the final stages of deciding between GoDaddy and Wix, but you’re looking to get the payment processing part out of the way. In this case, you’ll need to use Authorize.Net. As long as you have the Authorize.Net gateway set up correctly for your high-risk business, you’ll be golden. You see, GoDaddy and Wix websites have some integration limitations. If you’re set on using either of those site builders, we would advise Authorize.Net every time, and it works with both. This basically means a large BigCommerce merchant with multiple sites, one selling pipes and glass and another focusing on vape e-juice, and maybe one selling various merch bundles (like t-shirts, caps, and gaming memorabilia, etc.). In this case, you would be best served by NMI. NMI is one of BigCommerce’s preferred gateways, and it will let you efficiently manage multiple merchant accounts. This is a fantastic way for you to mitigate risk, and manage your sales quickly and effectively through dedicated merchant accounts. The NMI and BigCommerce combo is excellent, not only for multiple sites but also if you need an additional account for a wholesale business selling to other resellers. What NMI can offer is the ability to channel specific sales through selected merchant accounts. In other words, if you sell vape juice to resellers in bulk, and also sell it directly on your website, you can channel these very different sales types through different merchant accounts. This will let you safely and sustainably handle sales with different volumes, risk types, and payment methods. Amazing, right? 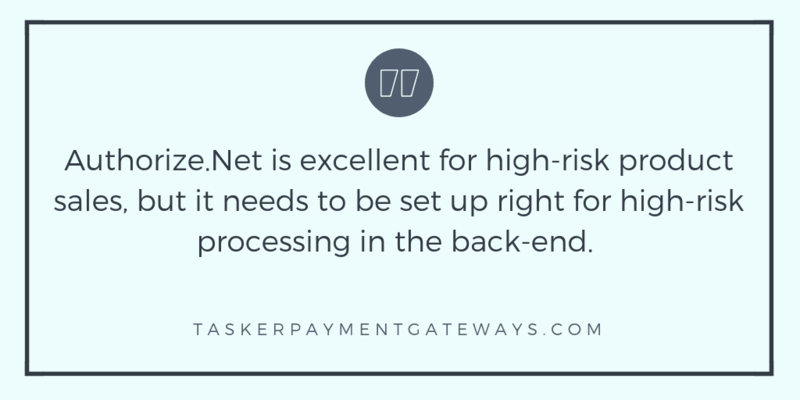 Need a high-risk payment gateway and processing recommendation? As you can tell, there’s no simple answer to the question “what is the best payment gateway?” The examples above are just a few of the thousands of different types of online stores out there. 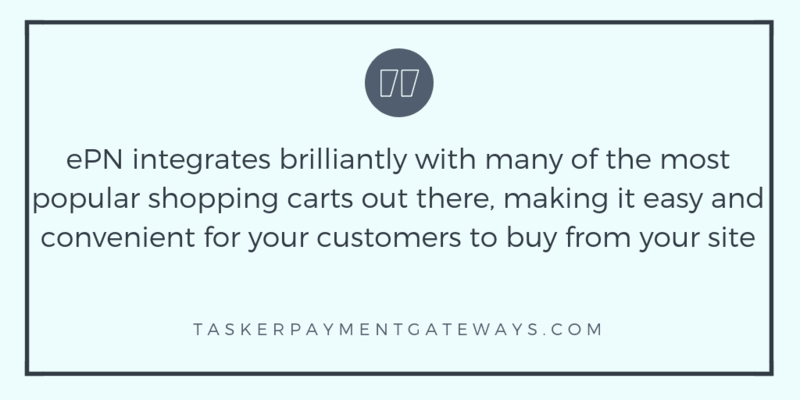 The world of payment gateways, high-risk merchant accounts, shopping carts, website builders, and payment options can be overwhelming. Don’t go it alone – we’re happy to help. We’re always excited to share our experiences and help a fellow high-risk e-commerce merchant. Contact us anytime using the form below to ask a question, or to get started.